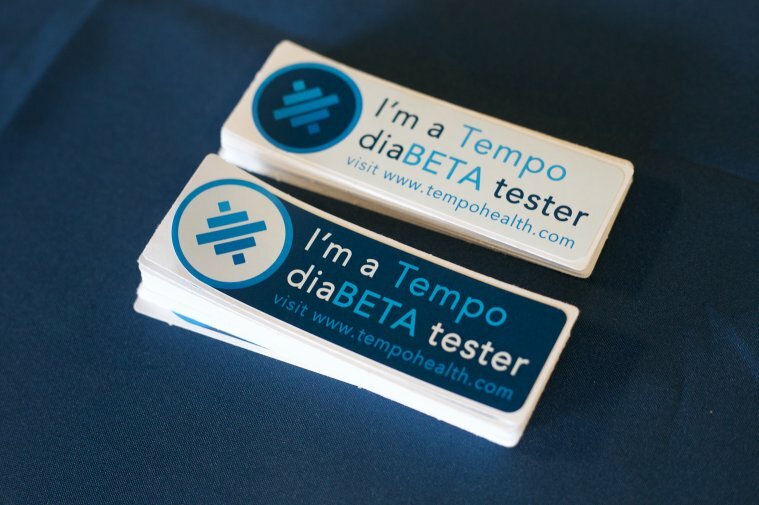 New stickers are available for those who sign up with Tempo Health to become a diaBETA tester. As Aspire’s Tempo Health gets closer and closer to a working beta version of a Soft CGM app that will allow diabetes patients to continuously monitor glucose without CGM hardware, we’re reaching out to the diabetes community to gain insights and to find beta testers for our technology. This weekend, we’ll be attending the Juvenile Diabetes Research Foundation’s Type One Nation Summit at the Spooky Nook sports complex in Lancaster County. The JDRF has been a leader in funding research to find a future cure to type 1 diabetes, and we’re pleased that they’ve also begun to expand their focus to address how patients can manage type 1 diabetes today. The event will host a variety of activities and educational talks for kids, teenagers, and adults to help them better manage life with type 1 diabetes. Gary Scheiner, an award winning Certified Diabetes Educator, physiologist, type 1 diabetes patient, and author of several books on diabetes, will be the featured speaker at the event. Scheiner is also the owner of Integrated Diabetes Services, a diabetes consulting service in Wynnewood, PA on the cutting edge of diabetes management. We’re proud to sponsor the event, and we’re excited to share with type 1 diabetes patients the technologies we’ve been working on. Getting insights from a wide variety of people who manage diabetes every day is a vital part of our process as we come up with better management solutions. In January, we developed and tested a conceptual prototype of the Soft CGM app with a focus group of patients during our first design sprint. Since then, the Tempo team moved forward to develop a working model to test with internal users. Now we’re testing the application within Aspire, refining our predictive models, and working out the bugs and design quirks to get ready for outside testing. Summit attendees, or any other diabetes patients who are interested in trying out our technologies in the future, can sign up with Tempo Health to be “diaBETA testers”. Those who sign up will be the first to gain access to future Tempo Health applications. They’ll also have the opportunity to take part in online surveys and focus groups to help us change the way the world deals with diabetes. If you’d like to be a diaBETA tester, you can join at www.tempohealth.com.